Greg Vornovitsky, M.D. is a graduate of Moscow State Medical University. 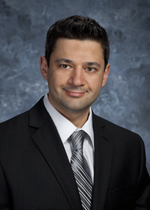 He completed his Internal Medicine residency at Norwalk Hospital (affiliated with The Yale School of Medicine) and became a member of Connecticut Medical Group in 2009. He is board certified in Internal Medicine. Dr. Vornovitsky’s interests include a broad spectrum of conditions encountered in primary care, such as hypertension, elevated cholesterol, asthma, metabolic syndrome and diabetes, as well as disorders of the prostate and erectile dysfunction, among others. A special place in his practice is reserved for preventive medicine and information technologies that allow for effective and timely implementation of preemptive measures. Dr. Vornovitsky volunteers his professional time as a member of the Connecticut DMV Medical Advisory Board.